This article is intended for Stitch Community Champions. Over the next few months, you're going to see a lot of changes at Stitch. These changes are all focused on one thing: growing and creating greater engagement and involvement in the Stitch Community. We will be placing more and more emphasis on the "community" nature of Stitch, with less emphasis on those features that tend to be associated with "online dating". We see first hand every day that it's when the Community works that we can make life happier and more fulfilling for our members. A big part of making the Community better, and getting it established in new areas, is making it easier and more rewarding for our Champions to create activities for the things they would like to do. This article shares a few of the new features we have just introduced, as well as some of the things we're working on. As always, we are keen to hear your feedback, so please let us know what you think! You’ll notice that your local community may include people that are unverified members of Stitch. They are distinguishable by the black badge that says UNVERIFIED, as shown below. These members have joined Stitch but have not yet verified their accounts. While they can attend up to three events and activities held by Stitch Community Champions in order to get verified in person, they cannot communicate online with other Stitch members until they do so. This means they cannot initiate conversations with other members, nor can they respond to messages they have been sent (though they can read them). We limit the ability of these members so to encourage them to get verified and prove they are not scammers or fraudsters, as the safety of our community is one of the most important aspects of Stitch. Having said that, if your membership status is Gold, Platinum or Diamond and you’re a community builder hoping to grow your local community, you have the ability to contact unverified Stitch members -- and they will be able to respond to you. This feature is extremely powerful, which is why Stitch only offers it to members who have shown themselves to be valuable and trustworthy contributors to the community by earning Gold status and above. 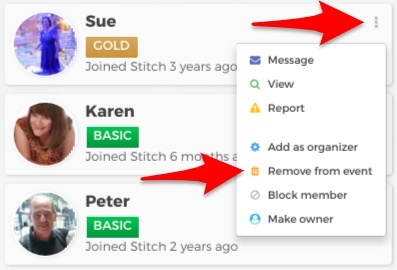 This feature for Gold and above members gives you the power to welcome unverified members to Stitch, encourage them to get verified and invite them to come to events and activities. You can even give them your member invite code to give them a discount on their Stitch membership, making a Stitch membership even more appealing to them (and earning you more Membership Points in the process). New members often feel intimidated when first joining Stitch. A personal invitation to join a group, activity, or even just a simple hello from an existing member does wonders boost their confidence and alleviate some of their fear in getting verified and joining the community. Having said that, please be use the feature wisely. When communicating with unverified members, remember that this means they haven't yet gone through Stitch's verification and security process. While most unverified people are real and authentic people who have joined Stitch with the best of intentions, until they have been verified there is a possibility that some profiles are not real. That’s why our verification process is so important. Until these members are verified, we suggest you restrict your communication to just helping them attend events to get verified. Under no circumstances should you share any personal information with them until you have met them in person at a Stitch event, or they have verified their account. The image below is what you will be shown every time you wish to communicate with an unverified member. Being able to communicate with unverified members is a feature that Stitch doesn't grant lightly, which is why it's only available to members who have proven themselves to be trusted members of the community. We hope you take advantage of this feature and start encouraging members to get themselves verified and start engaging with the community. Only then will each community start to grow and flourish! One of the biggest changes we are making to Stitch is to allow non-paying members to be more involved in the community. Since its inception, Stitch has been a members-only community, which opens Stitch events and activities only to those members who have contributed to the costs of running the community through their membership fees. This will always remain part of the Stitch philosophy, and we will continue to focus on providing far greater value to members who support Stitch through membership fees. We have realized, however, that many Basic members want to come to one or two events before they understand the real value of a Full Stitch Membership. That's why we have now given the ability to Community Champions to create a limited number of "Open" events and activities that are open to Basic Stitch members too. This gives Basic members the opportunity to engage with the community and get a taste for what Stitch is like. Having said that, Open events are limited to only 10% of all events within a 10 kilometer / 6 mile radius. For example, if you are a Community Champion in Sydney and want to publish an open event for all members in May, if more than 10% of upcoming events for that month are already "Open" events, you will not be able to create an Open event. Another common request has been for us to allow event organizers to limit the number of people who can attend. Some events can only host a certain number of people: a dinner for 6; a harbour cruise for 10 people; or a trip to the theatre when only 1 spare ticket is available, for example. 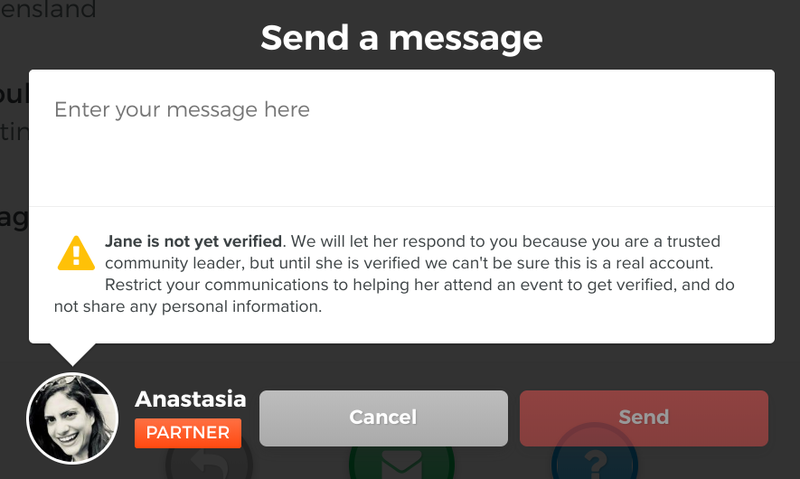 Stitch now gives event organizers the ability to set a hard limit on the number of members who can click "Attend". Once that limit is reached, everyone else will be shown a message saying that the event is full. 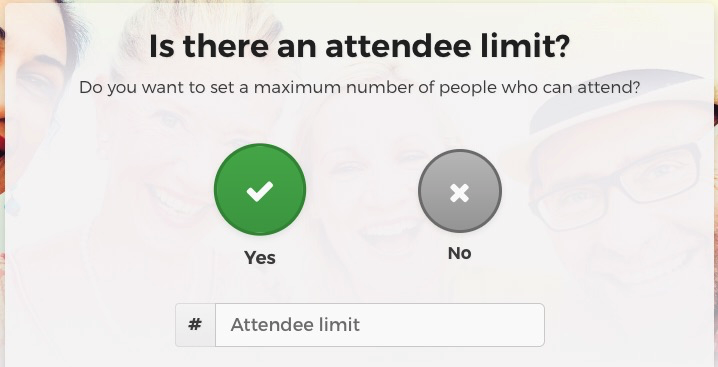 By the way, if your event is full and you subsequently discover that one of the attendees will not be able to make it, you don't need to rely on them to click "I am no longer attending". You have the ability to remove them from the event yourself, from the Attendee List page. We'll be introducing more changes in the coming weeks, based on the feedback we receive from you, so please let us know what you think. The ultimate goal is to make the community as vibrant and engaged as it can possibly be, regardless of where you live!